One of the things we pride ourselves the most in is our HVAC technicians. 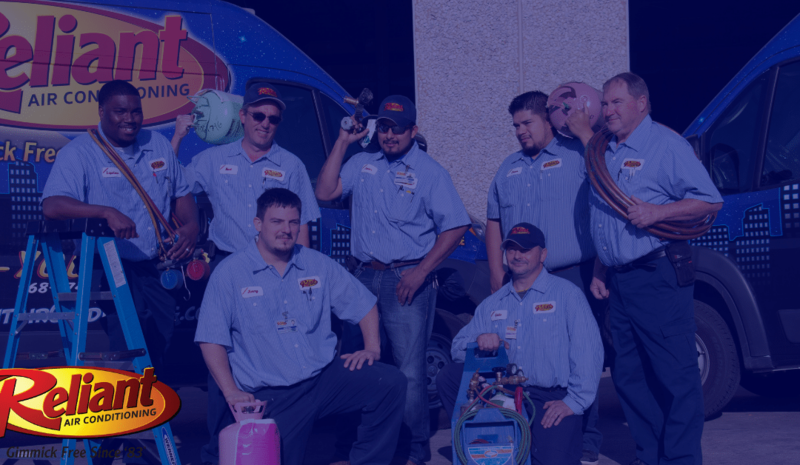 Their extensive, ongoing education is one of the reasons we’ve become the most trustworthy and well known central heating and air companies in the DFW area. We love to brag about how our technicians are NATE certified, but many people don’t know what that is. NATE is short for North American Technician Excellence. Specializing in all things heating and air-related, this non-profit offers several courses and certifications for the top air conditioning businesses in America. It’s a prestigious honor to be NATE certified, and at Reliant, we make sure all of our employees earn and maintain their NATE certification each year. Annually attending classroom and lab training to stay up to date on the latest innovations and trends related to heating and cooling equipment. We keep our employee standards high because we want you to have the most professional and quality heating and air service. Our motto is to get the job done right the first time, and with our more than qualified HVAC technicians, we intend to do just that. Not convinced yet? Schedule a free estimate with us and let us practice what we preach! Reliant Air Conditioning has been family-owned and operated since its beginning over 30 years ago, and we take pride in the personal touch this affords both our employees and our customers. Because of this special focus on customer service and retention, we have been able to stay strong through the years and are only looking to grow. All of our employees enjoy top pay and fantastic benefits, including health, dental and vision insurance, Life Insurance, 401k, Vacation Time and Paid Holidays. We are proud to be able to guarantee work year- round for both our in-office staff as well as our technicians, which is virtually unheard-of in the HVAC business. If you are looking to create a lasting relationship with an established company, then you should look no further in your job search than Reliant Air Conditioning. Check out our available career opportunities here.